Popular reality show Bigg Boss season 11 just ended with its Weekend Ka Vaar episode in which no one got eliminated from amongst Shilpa Shinde and Akash Dadlani as the voting lines were closed for the week. Now that a new week has begun, nominations will now take place in the house. Arshi Khan is at present the captain of the house which means that she is going to get some special power by the Bigg Boss during the nomination task. According to reports by a leading Entertainment portal, Businessofcinema.com, a new task for captaincy will be introduced by the Bigg Boss in which the house will be divided into two parts team red and team blue. In the task the members in the blue team will include, Puneesh Sharma, Akash Dadlani, Hina Khan and Vikas Gupta while the red team will include Hiten Tejwani, Shilpa Shinde, Priyank Sharma and Luv Tyagi. 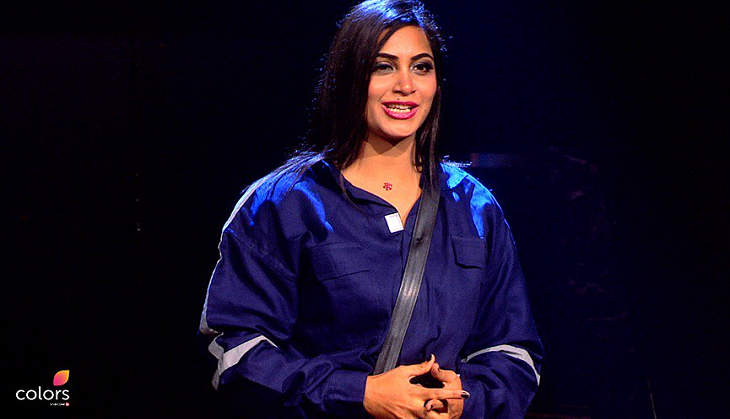 The captain of the house aka Arshi Khan will get the power to save one team which means that the opposite team will automatically get nominated for this week. In the video that is doing rounds, it can be seen that Arshi will rule the house in the real sense and will ask all to beg her to save themselves from nominations. In the video, Arshi's disappointment with Hiten Tejwani can be clearly seen. She can even be seen taunting Shilpa Shinde that if she will not convince her, the whole team will have to suffer. Arshi gets the power to save one team, which means all the contestants comprising in that team will be safe from nominations. In the preview of today’s episode, Arshi rules the housemates and makes them beg to save themselves from nominations. The reports further suggest that the captain will use her power and will save Puneesh, Hina, Vikas and Akash from nominations while Priyank, Hiten, Shilpa and Luv will come under her radar.